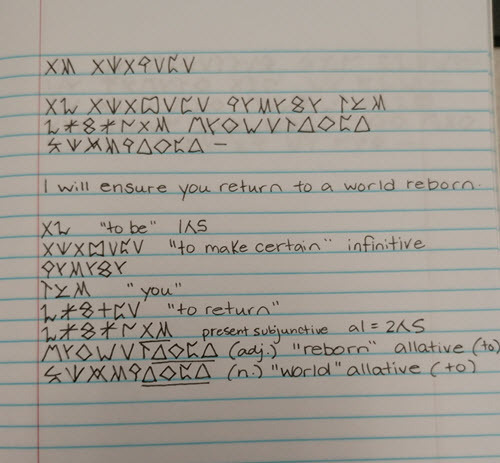 I've been taking phrases from the script and analyzing the components so I can understand how to piece words and phrases together. Shivaisith utilizes cases for the nouns and adjectives and tense/person conjugation for the verbs. I'm glad that I studied Croatian, otherwise the concept of cases would be rather intimidating. But I love the sound of the words. This language was originally based on Finnish, so apparently some of the linguistics are similar. 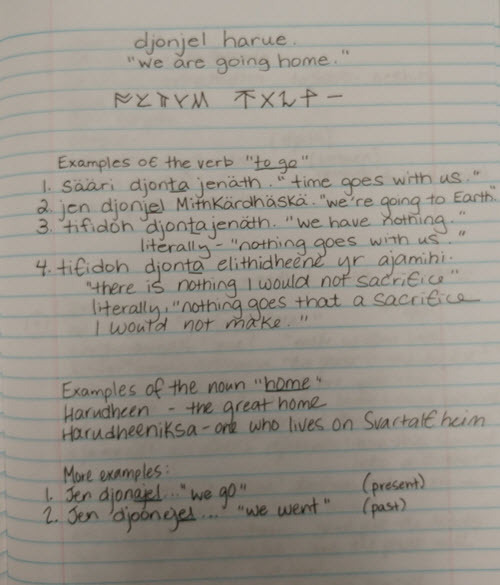 The runes are not based on Finnish, but they're super fun to write!